Are you an independent cleaner and want to make more money or get control of your clients? 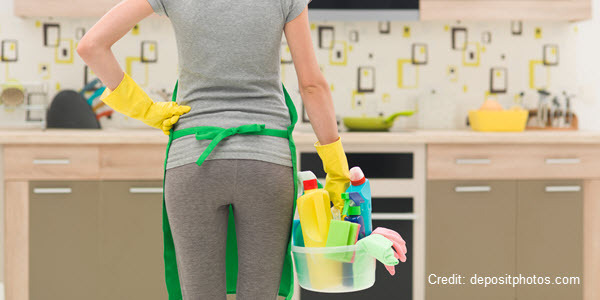 Do you want to start a residential cleaning business, but don’t have plans to hire employees? 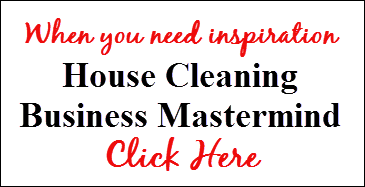 Do you want the house cleaning business tips that will make your job easier and help you avoid the pitfalls many new business owners fall into? Do you want accurate house cleaning business information to learn how to price and quote jobs successfully? Do you want to make your business more professional and get better paying clients? This is included in the Business-in-a-Box and Premium House Cleaning Success systems! Save with the bundled purchase. 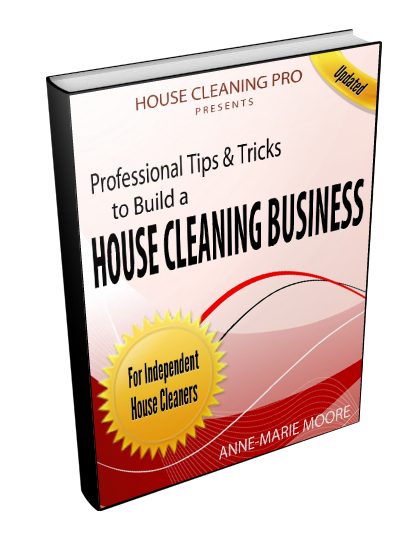 Then you will benefit with my house cleaning business training book that not only provides you with the business information you need to get going, but also contains all my tips and tricks for finding the right products and equipment to pricing and bidding your jobs. You can stand out from your independent competition with the products and equipment you use, no longer relying on your clients. This is the first step to growing your business and setting your routine. You can’t do that using different products in every home you clean. To be competitive in this industry, you’ll be happy to know I have included how to estimate house cleaning times. Once you know this, you’ll be on your way to becoming super profitable with a house cleaning business. Note: This is the perfect business for people who love to clean, organize, and help people. Cleaning is hard work; you must do the cleaning yourself or hire people to do the work for you – that’s covered in the Business-in-a-Box. Need to know exactly how the professionals clean effectively? Yup – I have your step-by-step speed cleaning tips included to make you efficient and to help you to do a superior job for your clients. These are the tips and tricks most people don’t know about cleaning efficiently.